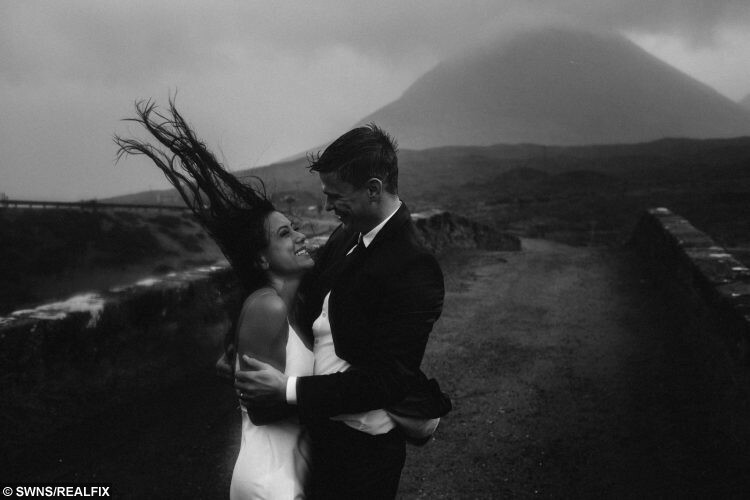 A daring young couple who wanted their weddings photos to be different chose to be snapped on their big day at the top of a boggy, gale-lashed mountain in Scotland. The results of their bold choice of venue are a series of stunning images that capture both the raw beauty of the wilderness setting and their love for each other. 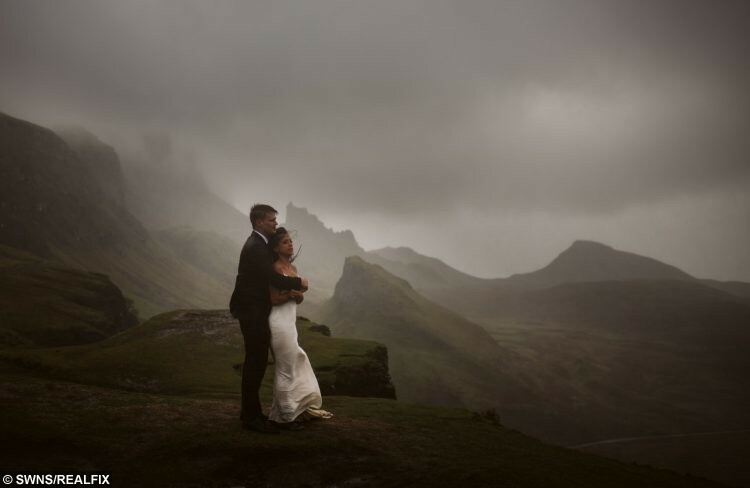 Newly-weds James Mortier, 33, and Lisa flew from their home in Chicago to the Isle of Skye for the amazing photo shoot after considering locations around the globe. The photographs capture the bride trapsing through muddy bogs in her stunning white wedding dress and with her with her bridal hair whipped up by gale force winds. The bridge-groom is captured in the stark landscape, his neatly tailored wedding suit soaked through by sheets of rain lashing the crags. 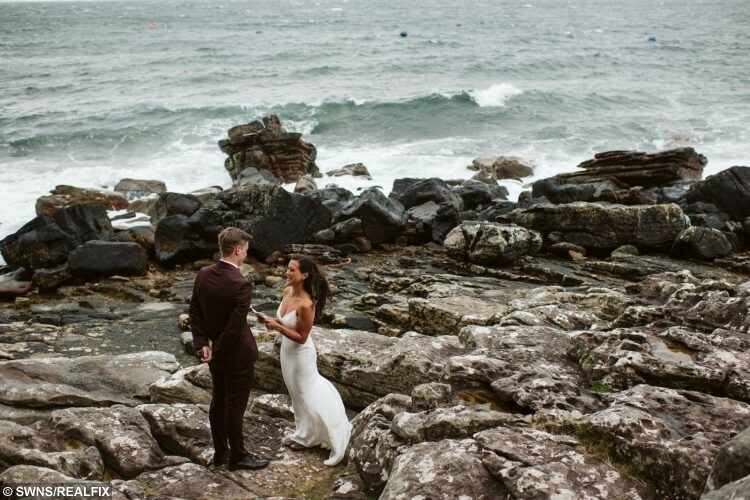 James, 33, and Lisa Mortier, 31 flew from their home in the USA to the picturesque island for the unique shoot following their Scottish wedding ceremony on September 25. The couple, who have been together for four years, got in touch with Andrew Rae – a Scottish photographer – on Instagram after viewing his incredible gallery of past images. However, the pair were hit with strong winds and a barrage of mud as they posed for the set. Lisa said: “We anticipated cooler, misty, weather similar to that of the Pacific Northwest in the states. “Boy, were we in for a surprise. The wind was unreal. “The weather in Chicago fluctuates pretty regularly in spring and fall. We could have a week of 70F and have snow the next. Lisa said the couple took a while to decide on their perfect destination to elope but after spotting pictures of the Isle, their mind was made up. Lisa added: “We wanted a unique wedding experience that was reflective of us. “We both love the outdoors and are always up for an adventure. “We were interested in a remote area overseas, the idea just seemed more romantic. “Our first destination thought was French countryside, but the more I researched it, the more difficult it seemed to be due to the language barrier. 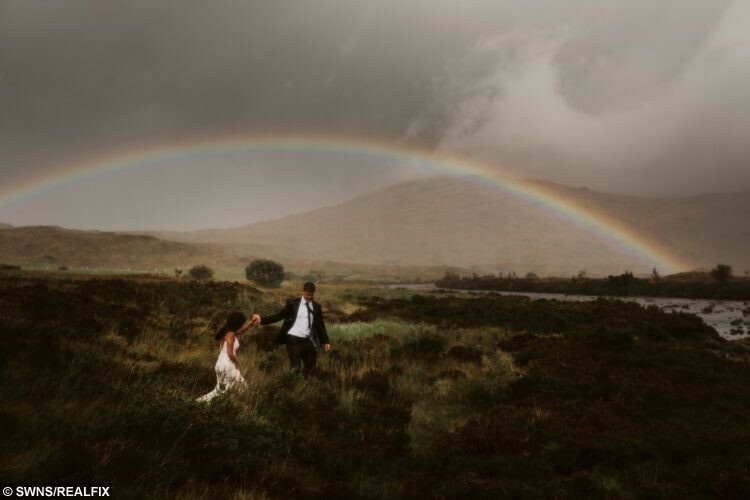 “Scotland continually came up as an elopement destination and neither of us had been before so we just kind of went with it. The couple prepared for the weather conditions and Lisa said she didn’t mind getting her wedding dress covered in mud. She added: “It was expected. I searched for the perfect dress that could pack well and was lightweight for hiking around for this purpose. Lisa said: “We knew of each other in high school but connected well after college at a neighbourhood bar. “We now own a home in the same neighborhood we grew up in. Lisa said she would recommend a similar shoot to anyone who wants incredible wedding photographs. 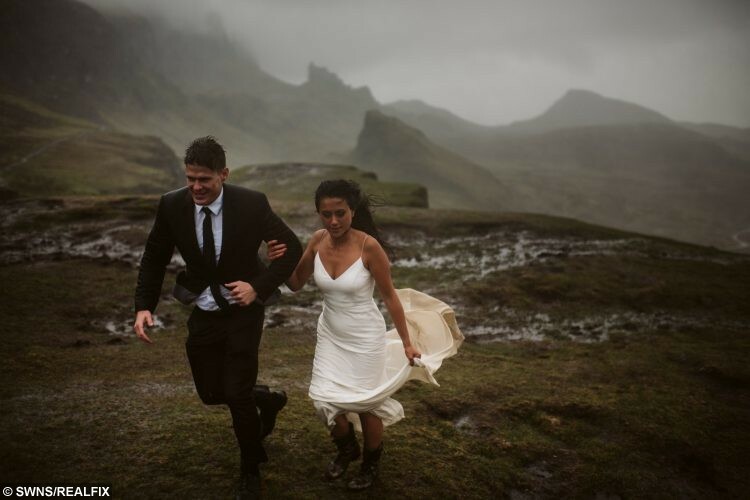 She added: “We planned to marry at Loch Coruisk but could not make the trip due to bad weather. 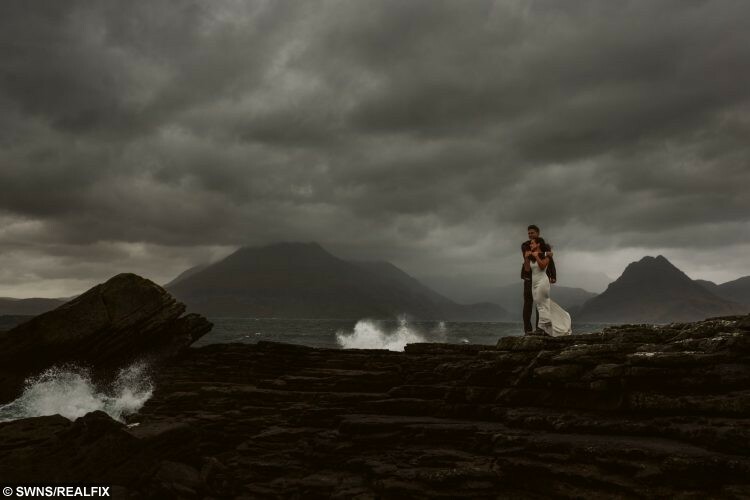 “We chose to marry at Honeycomb Rock, an area near the pier to travel to Loch Coruisk. “Andrew’s photography skills are truly an art form. I never imagined I would look at such a beautiful photograph and see myself in it. 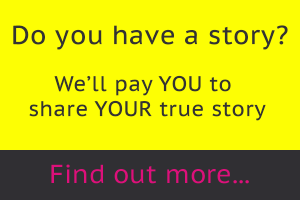 “We had such a wonderful experience, everyone was so warm and welcoming. “The people really made the trip. For those interested, expect the worst with the weather and embrace it.